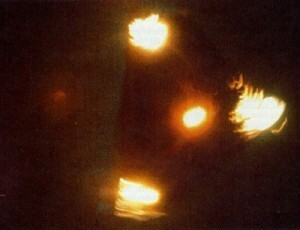 Edgar Fouche’s TR-3B is most likely a hoax, based on his credibility. Edgar Fouche claimed to have worked at Groom Lake (Area 51). He has talked to the UFO community for over a decade about reverse-engineering of alien artifacts. Fouche has also written about some of the other individuals that have also claimed to have worked at Area 51, including Bob Lazar. To the question about Bob Lazar, “Are Lazar’s stories just plain fantastic and fictionist and nothing but LIES?”, Fouche’s answer was “YES“. “Could Lazar have been a Disinformation Agent?” Fouche’s answer was “YES“. “Was Lazar another person making up stories to seek attention?” Fouche’s answer was “YES“. Fouche has similarly written about Dan Burish. To the question, “Was Dan Burish, self-claimed Area 51 scientist a total fraud?”, Fouche’s answer was “YES“. There is no doubt that Fouche himself was also a fraud and played to the gullibility and naivete of his audience. I have always been extremely skeptical of Fouche. Many of his claims were questionable or misleading. This letter is UNCLASSIFIED. It was never marked as classified material (no classification markings, no control number, no Copy X of Y). There is nothing unusual about the letterhead. Use of the DoD seal is standard. The letter was signed by the NCO in Charge, Airman Aircraft Maintenance Assignments Section, Office of the Directorate of Assignments, Deputy Chief of Staff for Personnel. The letter was sent to the Quality Control and Evaluation Division, office code LGMQ. Where it says REPLY TO: DARPA, this might be a five-letter office code (such as DPAQR, the Command Records Branch at SAC HQ). This letter simply indicates that the Air Force Manpower and Personnel Center (AFMPC) has approved an After Action Review (or Report), a professional discussion of an event, focused on performance standards, that enables soldiers/airmen to discover for themselves what happened, why it happened, and how to sustain strengths and improve on weaknesses. It is a tool that commanders and units can use to get maximum benefit from every mission or task. This is not HAVE BLUE. It is the first YF-117A SENIOR TREND prototype. Edwards AFB was home of the Air Force Flight Test Center. Does he mean Snodgress? (as in Carrie Snodgress). A former Lockheed employee I spoke with identified this man as Roy Wilson. No such person as “Steve Stenson” was ever commander of AFFTC. The KGB passport is fake. The cloth badge and the metal badge are also fake, and both are widely available at many Army-Navy surplus stores. 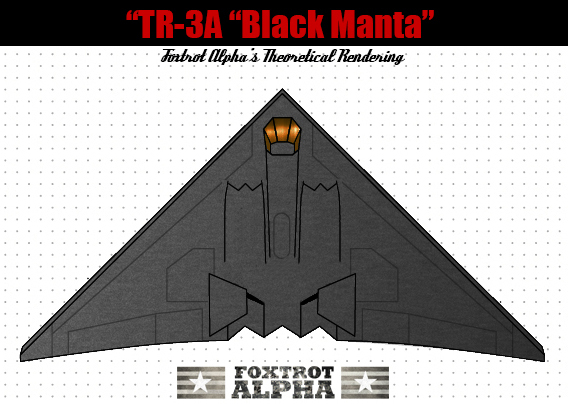 The U.S. Air Force has never built any humongous triangular aircraft or boomerang-shaped craft (such as three times the size of a football field) that can hover absolutely silently or maneuver as slow as 15 miles per hour in the sky. Absolutely not. It’s pure science fiction. In fact there is not a single credible photo of any humongous flying triangular craft (whether ours or from elsewhere) so far. 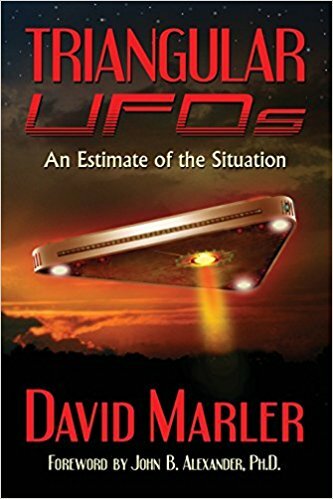 David Marler’s book TRIANGULAR UFOs makes a good reading – – but there is not even one photo of the alleged triangular craft (such as three times the size of a football field). 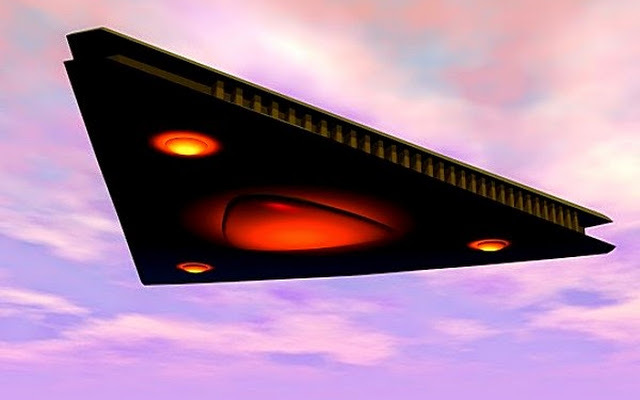 All we need is one, credible photo of a humongous (I mean humongous) flying triangle…… Yes,we all heard about the Hudson Valley sightings before….etc. 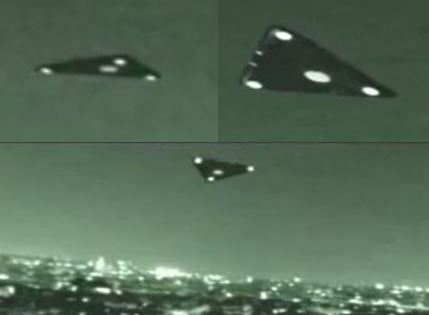 etc., ad infinitum (including the Phoenix sightings of 1997)……..but all we need is one credible photo………I haven’t come across any…….in all these 34 years or more in regards to reports of humongous flying triangles. Even footages in the following doesn’t conclusively prove anything. A Foia request should tesolve the issue to some degree. I understand researchers in England did just that and did verify fouche’s credentials. There has been a FOIA done on Edgar Fouche I know him very well he happens to be one 9f my best freinds. The FOIA is online it shows 20 years Air Force service. I know and have met people Fouche was in The USAF with and subsequent Govt Co tractors who Ed worked with after retiring from The USAF. Ed is the real deal and that’s a fact. Sure, Edgar Fouche had a role in the Air Force. No one is questioning that. We are not talking here about Edgar Fouche as Air Force personnel. We are talking here about TR-3B, which is simply hogwash. An Air Force personnel is not exempt from deluded opinions or claims. By the way Ed never supported the fraud Bob lazar but you did for a long time and probably still do you have no clue what the truth is and Merlin is nothing more then a historian he is not going to know everything thats BLACK not even close. There are many things in your poor investigation you got wrong about Ed thats for Damn sure. I have never ever supported the claims of Bob Lazar. I have always felt that he had a special role in the disinformation. How can I support the claims of Bob Lazar when there is not a single, credible, conclusive evidence whatsoever that we have ever been (or are being) visited by physical extraterrestrials in physical extraterrestrial spacecraft? No, this whole thing about UFOs is meaningless without any solid evidence of their physical presence. Peter Merlin knows more about the inner workings of Black Programs. I trust him more than anyone else when it comes to Black Programs. By the way, I hope you are not Dan Burisch. Norio I have spoken with you before and gave you the chance to speak with Ed while he was alive. I want to point out one simple fact neither you nor Peter Merlin have ever been on the inside. There are so many programs Peter Merlin will never hear about in his lifetime. 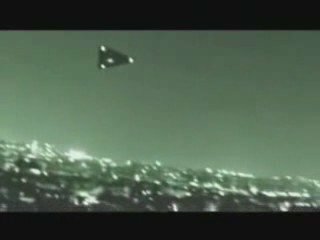 The fact is The Secret Space Program is real and Aliens have always been an easy cover for CIAs own clandestine programs and people just eat the whole BS alien stories up. They are spammed everywhere all over YouTube now if that is not a case of Govt Disinformation I don’t know what is the evidence is there you need to read between the lines. Ed was the real deal I know this as absolute fact. Norio I thank you for being fair and allowing me to speak anytime you want to talk let me know I noticed you are a guitar player I am myself and have been for years. Theres so much disinformation about Ed its unreal and its because he has told the truth. Since this article is set up specifically to debunk the TR-3B as a hoax, I doubt I’ll be believed, but that’s ok by me because I know what I saw. In 2016, I witnessed the exact same craft as is shown in the rendering at the top of this article showing the top and bottom views (not the artist representation at the very top, but the drawing below). I have no idea who Edgar Fouche is, and I have never seen any of these images before, but I was interested enough (and frankly freaked out enough) to research what I had seen. What I witnessed was completely silent and I am quite sure the corners of the triangle were rounded, not pointed. It had three bright lights in the corners and a larger, dimmer, almost “opalescent” light in the center. It wan’t travelling at extraordinarily high speed, maybe as fast as a business jet, but at a good clip and below 10,000 feet. What surprised me most was that it was slowly rotating as it flew. There was no discernable front or back. Another thing was the way that it flew. I’ve been intensely interested in aircraft from a young age, I’ve flown in everything from Bell Jet Ranger helicopters to commercial airliners to Cessna 172s. I know aerodynamic theory, and this thing flew – or I should say “floated” – in a manner I have never seen. It was weird. It didn’t appear to be affected by any aerodynamic forces. It moved as if it was in a bubble, levitating would probably be the best description I can come up with. This craft flew over the Myrtle Grove area of Wilmington, NC, moving north to south. It may be worth noting that aircraft from MCAS New River, MCAS Cherry Point frequently fly over my house to conduct maneuvers off Cape Fear, and Seymour Johnson AFB is roughly 100 miles north of us in Goldsboro. Just thought I’d add my 2 cents. 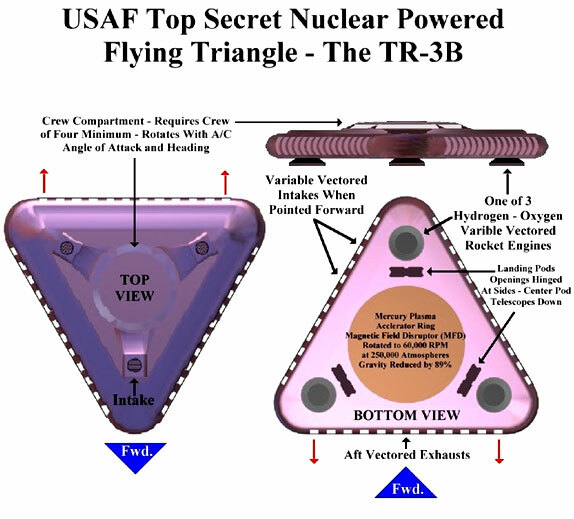 I can confirm 100% I have seen real TR-3B flying over Northern Canada on MULTIPLE Occasions…. These are REAL vehicles. DEAD SILENT. This article is simply disinformation campaign designed to throw off the masses with bad info into staying asleep and thinking it’s just a hoax…. THIS IS REAL. The author of this article is engaging in PURPOSEFUL DISINFORMATION. I honestly have no idea why you even bothered to write this article. The craft has been seen hundreds of times all over the world over the last 30 plus years. I suggest the next time you try to debunked something or call someone a fake you do a little more research before you waste your time again.